FrankenFoodFacts: Why aren't GMOs tested on humans? How much corn is enough corn for a feeding study? A very common question or criticism of GMOs is that they are not properly tested, particularly on humans. The spouse and I had a discussion about this a while back and he asked why GMOs weren't tested like drugs since they're regulated by the FDA. I've read comments such as "I won't believe GMOs are safe until they're tested for 5 years on humans and we examine long-term impact", so I thought we should explore this point. The regulation of GMOs is based on the principle of "substantial equivalence", meaning that the nutritional content of the GE crop and the non-GE crop that it originated from is the same. In the past, I've reviewed papers that have done comparisons between crops generated by transgenesis (the method used to make GMOs) vs crops generated by traditional cross breeding and mutagenesis. The transgenic crops had far fewer unintended consequences than the crops generated by traditional breeding methods. What remains to be demonstrated is that the protein introduced poses no greater risk to human health than non-GE crops, which is why studies on allergenicity and animal feeding studies are performed. So "why don't we do clinical trials on GMOs the same way we do for drugs?" Drugs are designed to cause a change in the human body: that's the whole point behind them. Since drugs are altering something in humans, it's important to know the side-effects that they may cause and whether or not they're causing the anticipated effect (i.e. is it better than placebo). In contrast, GMOs are designed to be equivalent to their non-GE counterparts: they aren't drugs or nutritional supplements. GE crops which ARE designed to impact human health, such as vitamin-A enriched rice, should be tested in humans to determine if the desired outcome is achieved (i.e that the rice actually delivers vitamin-A to the body). But such studies are not the same as looking for unknown long-term effects. Another reason why is that there's no plausible mechanism for harm. In the past, I've explained how nothing can truly ever be proven to be 100% safe, whether it's water, a computer or a car. Researchers examine safety when there's a plausible mechanism whereby harm can occur. For example, a cholesterol lowering drug may act by interfering with cholesterol synthesis in the liver, so it may make sense to see if it impacts other metabolic functions in the liver. But when it comes to the traits that are introduced into GE crops, there isn't really a mechanism of harm: for example, the Arctic Apple is engineered to have a gene turned off, and the gene doesn't even exist in humans, so how could that harm us? This is why most scientists wouldn't want to spend years trying to secure grants for a long term feeding study when the likelihood of having an important discovery or contribution to the field is so low. Safety is relative, and there have been many long-term feeding studies in animals which haven't observed any harm, suggesting that follow-up testing of GE crops in humans is unnecessary. An additional issue is that the experimental design would be incredibly difficult. Unlike animal feeding studies, you cannot control for other dietary factors or for lifestyle of the humans in the study. In animal feeding studies, all the animals are inbred so there's very little genetic variability. All the animals live in the same type of cage, get the same amount of food, sleep, water, etc, but none of this applies to humans. As a mental exercise, let's imagine that we're going to embark on a study examining the long term effects of GM crops. 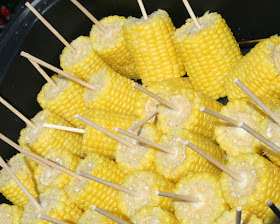 We'll narrow it down to a single GM crop: Bt-Corn. Since corn derivatives are found in many processed foods, we'd have to eliminate other sources of Bt by making all the participants adhere to an organic diet. Most sweet corn in the US is not of the Bt-variety, but since we want to be able to keep track of how much GE corn our participants are ingesting, we'll have to use this type. Then, we have to figure out the duration of our experiment: how long will these people have to eat Bt-corn to get this unknown effect? 1 year? 2 years? 5? 10? Let's keep it simple and say one year (although I seriously doubt that any die-hard anti-GMO activist would be satisfied with 1 year). Then we have to figure out who we will be feeding: will we focus on individuals of a single genetic background to eliminate other variables? Will we include children? Pregnant women? (I mention these specific categories because there's no end to anti-GMO blog posts about the dangers of GMOs for these individuals). Next, we'd have to grow all the corn in the same place: studies have shown that geographic and seasonal variability changes the nutritional content of crops more than whether the crop is a GMO or not (see here and here). 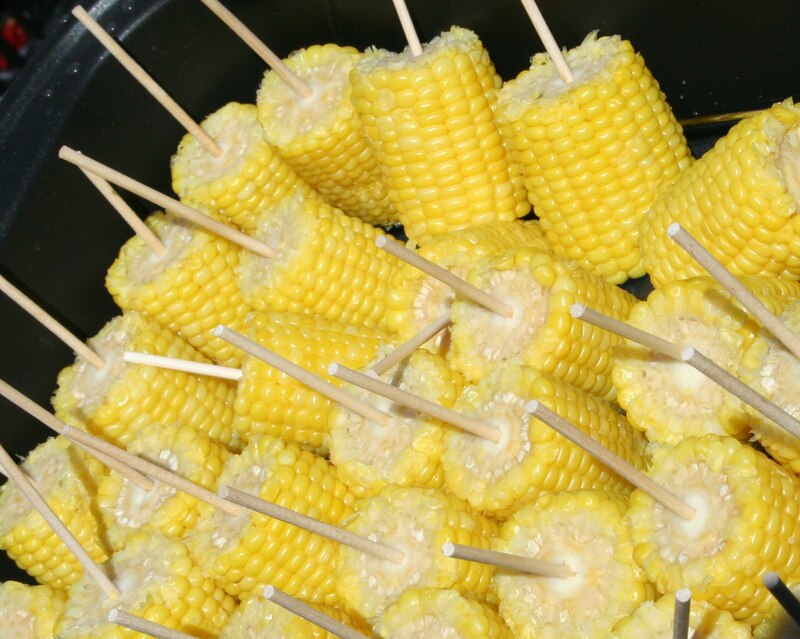 Since we want all the participants to get the same corn for the entire duration of the study, we'd have to grow it all in a single place, process it, and all the participants would need a deep freezer to store their 1 year's worth of sweet corn. Then, we have to decide how much corn they'd need to eat in order to observe this unknown effect. One ear a week? A day? Who would sign up for a study eating an ear of corn a day for a year?? And then who is going to pay for this 1 year study on many people of organic food consumption plus GE-corn? If Monsanto or other seed developers pay for it, will anyone trust the data? There are FDA guidelines for examining the impact of food additives in humans has several important points including this one: "A food or food additive generally will be considered suitable for clinical testing if the substance is unlikely to produce significant toxic effects at the levels to which the subjects of the clinical study will be exposed. This usually is determined from the results of toxicity studies in animals or by examining existing data on population exposure. However, in cases where the type of toxic response associated with the consumption of a food or food additive by experimental animals is judged to be severe, exposure of subjects in clinical studies to the additive may need to be significantly below the level found to produce no toxic effects in an appropriate species." If the individuals who want to do long-term feeding studies in humans are looking for evidence of harm due to "long term toxic effects", then based on the statement above from the FDA, such studies would never be cleared by an ethics panel. Other important points from the document include the fact that such studies should have different dosages and the language used for long-term studies is weeks/months, not years. This isn't a cop-out. If we're looking for a harmful effect but don't know what it is because we don't have a reasonable mechanism whereby harm may occur, how can you design the experiment? What variables will you measure? As this document from the FDA outlines, clinical trials for drugs go through very specific phases and can be variable in duration and size. However the thing they all have in common is that they're looking for a very specific effect (improvement of the disease or its symptoms in the patient). Doctors know exactly what to measure, and look for any possible side-effects, which end up getting listed in the package insert for the drug, even if they are not causal. The final point is this: what is exclusive or unique about GMOs that merits such rigorous testing, yet excludes other crop modification techniques? If your argument is that GMOs are made by scientists in a lab and are consequently riskier, so are seedless watermelons. If your argument is that GMOs have genes from other species and are consequently riskier, so do sweet potatoes which have genes from bacteria naturally introduced thousands of years ago. If your argument is that we've had thousands of years to co-evolve with other crops but not to GMOs, then I ask you how it is that I, an individual of Iranian descent, have a passion fruit vine, which is native to South America, growing in my backyard in California? I'm pretty sure that the passion fruit and I didn't co-evolve and adapt to one another throughout our evolutionary history. The passion fruit, the sweet potato, and the seedless watermelon did not undergo any testing, animal or human, yet many continue arguing that all GMOs regardless of trait should undergo animal and human testing. Well, I hope you all have a wonderful holiday season. If you don't subscribe to this blog, please consider doing so or you could also follow me on twitter where I post everything I publish from this blog and Biofortified. People always tell me they need labels to track this too. But then when I asked them to show me the evidence of harm from the 60+ countries that have labels, they can't. Isn't that odd? But GMO crops are tested on animals correct? If they can be tested on animals isn't it logical that they are tested and cleared on humans. Also where can I find full fledged third party studies on long term effects on animals. Despite the idealistic reasoning behind the creation of GMO foods, the lack of transparency (common to most corporations and research facilities) is what makes GMO foods untrustworthy. Wow. This essay is full inaccurate, incomplete and contradictory CLAIMS that require mental gymnastics to accept without raising serious questions and concerns. I have some chemicals, particulates and other things the FEDS (and people like you) deemed safe forever that I would like to begin testing on YOU now. Things like vermiculite insulation. The vermiculite insulation installed in millions of US homes from the Libby mine in Montana is the SAME as all the other vermiculite from other mines because it does the same thing and has ALMOST entirely the same makeup. The fact that it has a bit of asbestos (like virus genes in food) to it does not change how safe it is because it was made to do the same thing as other vermiculite without contamination and is VERY CLOSE - but not 100% - the same as vermiculite from another mine without asbestos. You should look at Nassim Taleb's (Black Swan author) definition of the "intellectual-yet-idiot-class". Based on what you write above, he describes YOU. Based on what you write: You are very EDUCATED. You are not very SMART. We don't know right now if GMO's are safe for human consumption. When they are labeled next year, NO ONE will buy them because they are an unknown and EVERY single person in a position of authority at this time is deserving of ZERO public trust. No more will we "take your word". PROVE IT - 'ya liars! You're comparing a virus gene to asbestos. Go find out how much of the human genome is made up of viral DNA, and then come back for a chat.